It seems like everywhere I turn lately someone is talking about a detox diet. Some last a few days, some up to a few weeks or a month. Celebrities are doing it and doctors on TV are touting it – so are they a smart choice or are they just another gimmick to get your hopes up and empty your wallet? It is confusing though, right? Popular media and all your friends and co-workers are talking about how detoxing is the answer to all your weight loss woes. In the end, your body – mostly your liver – is fully equipped and very capable of detoxifying your body – no special $49.95/month detox plan necessary. Do people lose weight when they go on detox plans? Absolutely! By restricting calories pretty drastically anyone would lose. But, is it sustainable long-term and ultimately are you making healthy changes that will last? Here some important factors to consider of any diet plan, including detoxes. – Avoid plans that eliminate most food groups – especially if for more than a few days. Nutrient deficiencies can interfere with detoxification and can starve out helpful gut bacteria. – Steer clear of drastic calorie reductions – losing weight too quickly sounds great, but can increase risk of dehydration and electrolyte imbalances. – If you are prone to dips in blood sugar – avoid diets that don’t provide regular balanced meals. – If taking medications, consult a qualified health professional before taking detox supplements to avoid potential interactions. – Does the person selling you the product, or book or supplement, have a sound background in nutrition? Are they a licensed professional? Do they have scientific evidence to support their claims? I am all for getting a jump-start on eating healthy, but there is absolutely no scientific evidence that supports that detox treatments, kits or rituals have any effect on our body’s ability to rid itself of waste products and so-called toxic chemicals. They do have the ability to harm unfortunately and are very effective at emptying your bank account. 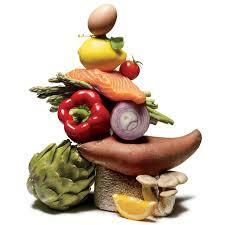 – Eat whole, organic foods as much as possible and make your own food. The fewer pesticides, chemical additives, and other food contaminants, the less your liver has to detoxify. – Eat garlic and onions. These and other allium family vegetables, like shallots, leeks, and chives, provide phytonutrients that help drive detoxification. – Fill up on flavonoids. Found in citrus fruits, berries, and greens tea, these natural plant nutrients increase the activity of liver detoxification. – Boost fiber. The fiber in beans, whole grains, vegetables, fruits, and nuts helps reduce absorption of toxins and helps sweep them out through the digestive tract. – Eat green. Green vegetables, such as broccoli, Brussels sprouts, spinach, kale, and romaine lettuce contain special components that help to support detoxification. – Consume probiotics. Foods such as yogurt and kefir supply beneficial gut bacteria that help to minimize toxins produced by harmful bacteria. – Drink plenty of water. Water should be your primary beverage all throughout the day. It helps to flush out toxins. Don’t waste your time and money on expensive detoxes or diets that make empty promises. Choose one of these strategies and start working on it today! Want to read more about detoxes? Go to: http://www.sciencebasedmedicine.org/the-detox-scam-how-to-spot-it-and-how-to-avoid-it/.